Homeowners’ request. Bring a 120-year-old kitchen into the 21st century while honoring original details like the cove ceiling, wood flooring, chandelier and molding details. Island. 2 by 4 feet, painted black, with a wood top and stainless steel shelves. “It married all the features in this kitchen together,” says designer Frankie Castro, who gained ideas and inspiration by browsing photos on Houzz along with her clients. Other special features. Backsplash of white and gray hexagonal mosaic tile. Reclaimed-wood open shelves. Black base cabinets. Quartz countertops. Homeowners’ request. Remove and replace existing dark cherry cabinets, black countertops and a black painted island. 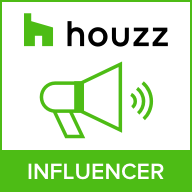 The owners found designer Becky Corringham through Houzz’s directory, and they used the site to collaborate on an ideabook of inspirational photos, through which they also bought products like the floating maple shelves and chandelier. Other special features. Quartz perimeter countertops and backsplash with a Calacatta marble look. Light blue ceiling (Honest Blue by Sherwin-Williams). Homeowners’ request. Update a basic, traditional kitchen to reflect a more midcentury modern style within the existing footprint. Island. 2 by 4 feet with a rift-cut oak veneer base and 2-inch-thick white quartz countertop. “We made the countertop on the island thicker than the perimeter to give the island more emphasis so it didn’t look so puny,” designer Rachel Eve Logue says. The island has two small top drawers and two deep bottom drawers — plenty of space to store utensils for baking, which the homeowners love to do. A 2-by-2-½-foot island existed in the same space before, but because the floor tile didn’t go underneath it, and because the homeowners didn’t want to hassle with replacing the flooring, they decided to keep an island in that spot and increase its size. Other special features. Aqua hexagonal tile backsplash and aqua floating shelves. Peninsula with white quartz waterfall-edge detail. Paneled refrigerator and tall pantry. The homeowners had originally thought they wanted all-white cabinets, but when Logue looked through their Houzz ideabook of inspiration photos they had gathered, she noticed that they had saved a lot of kitchens with dark base cabinets and white upper cabinets. She suggested they go that route and include white countertops, to lighten the kitchen but still have that dark wood, midcentury modern vibe. Designer secret. The previous backsplash was composed of glass blocks that matched the transom above the range. The glass let in light, but the view to the neighbors’ hedge wasn’t something the owners wanted to hang on to. To get a stylish backsplash, Logue drywalled directly over the glass blocks (they are still visible from the exterior) and covered the drywall with the statement tile. “If we had left the blocks, we just wouldn’t have gotten the same impact in this kitchen,” she says. Homeowners’ request. A more light-filled kitchen with new custom cabinets and a better connection to the surrounding areas. Other special features. 3-by-9-inch glass tile backsplash. Jet Mist granite countertops. Custom wine fridge. Hidden phone and computer charger in drawer.